Bernhard Riemann (1826-1866) was one of the leading mathematicians of the nineteenth century. In his short career, he introduced ideas of fundamental importance in complex analysis, real analysis, differential geometry, number theory, and other subjects. His work in differential geometry provided the mathematical basis for the general theory of relativity. Riemann's name is associated with what is probably the most important unproved conjecture in present-day mathematics, the Riemann hypothesis. This involves the Riemann zeta function, which is a function ζ(s) of a complex variable s defined as follows. If the real part of s is greater than 1, define ζ(s) to be the sum of the convergent series ∑n ≥ 1 n-s; then extend ζ(s) to the whole complex plane by analytic continuation. The Riemann hypothesis states: if ζ(s) = 0 and the real part of s is between 0 and 1, then the real part of s is exactly 1/2. This seemingly esoteric condition is of fundamental importance for the distribution of prime numbers. Riemann was born in 1826 in the kingdom of Hannover, later part of Germany. His father was a Lutheran minister. At an early age he showed an interest in history and mathematics, which was encouraged by his family. At age 14 he entered the gymnasium (a sort of prep school) at Hannover, and two years later transferred to the gymnasium at Lüneburg, where his remarkable mathematical talent was noticed. Schmalfuss, director of the gymnasium, gave Riemann a textbook on number theory by Legendre. Six days later Riemann returned the 859-page book, saying, "That was a wonderful book! I have mastered it." And he had. In 1846 Riemann matriculated at Göttingen University. In accordance with his father's wishes, he began in the faculty of theology, but he soon transferred to the faculty of philosophy to pursue science and mathematics. Although Gauss was on the Göttingen faculty at this time, he was very unsociable and probably had no personal contact with Riemann. Riemann's ability did draw the attention of another Göttingen mathematician, Moritz Stern. After a year Riemann moved to the University of Berlin, where he could benefit from the teaching of Jacobi, Steiner, Dirichlet, and Eisenstein. It was Dirichlet who influenced Riemann the most, and was to become his collaborator. In 1850 Riemann returned to Göttingen, where he would spend the rest of his career. Riemann's dissertation, completed under Gauss's supervision in 1851, was on the foundations of complex analysis. It introduced several ideas of fundamental importance, such as the definitions of conformal mapping and simple connectivity. These are necessary for one of his main results, the Riemann mapping theorem: any simply connected domain of the the complex plane having at least two boundary points can be conformally mapped onto the unit disk. Riemann also introduced the Laurent series expansion for functions having poles and branch points. The next step in Riemann's academic career was to qualify as a Privatdozent (lecturer). To do this he had to present a Habilitationsshcrift (probationary essay) and Habilitationsvortrag (probationary lecture). Both turned out to be mathematical masterpieces. For his Habilitationsschrift Riemann chose the subject of Fourier series, and presented the completed essay in 1853. Although trigonometric series had long been used in astronomy, the question of which solutions of the wave equation uxx = c2utt could be represented by such series triggered a lively debate in the eighteenth century, involving D'Alembert, Euler, and others. The basic problem was a lack of foundations for analysis. Fourier made extensive use of trigonometric series in solving the heat equation uxx = a ut, but did little to resolve the foundational issues. Riemann's essay made considerable progress on this problem, first by giving a criterion for a function to be integrable (or as we now say, Riemann integrable), and then by obtaining a necessary condition for a Riemann integrable function to be representable by a Fourier series. For his Habiltationsvortrag Riemann proposed three topics, and against his expectations Gauss chose the one on geometry. Riemann's lecture, "On the hypotheses that lie at the foundation of geometry" was given on June 10, 1854. This extraordinary work introduced (what is now called) an n-dimensional Riemannian manifold and its curvature tensor. It also, prophetically, discussed the relation of this mathematical space to actual space. Riemann's vision was realized by Einstein's general theory of relativity sixty years later. Probably the only person in the audience who appreciated the depth of Riemann's work was Gauss, who had done pioneering work in differential geometry. A report of Riemann's lecture was not published until 1868, after his death. Although a Privatdozent could collect fees from students, the position had no salary. With Dirichlet's help, Riemann obtained a small paid post. He did not become an assistant professor until 1857, which was also the year he published his researches on Abelian functions. Abelian functions were studied by Abel and Jacobi; they are a generalization of elliptic functions. Building on the ideas introduced in his thesis, particularly that of a Riemann surface, Riemann developed a very powerful geometric theory that resolved a number of outstanding problems. This work established Riemann as an important mathematician, but it was not without controversy. Riemann made extensive use, without proof, of a variational principle called the Dirichlet principle. Weierstrass had his doubts about it, and after Riemann's death it fell into disrepute. This state of affairs eventually had fruitful consequences. Several mathematicians successfully found proofs of Riemann's results without using the Dirichlet principle, and the principle itself was given a rigorous proof in 1899 by Hilbert. In 1859 Dirichlet, who had succeeded to Gauss's professorship in 1855, himself died after a serious illness. Riemann was appointed his successor. In the same year he was elected a corresponding member of the Berlin Academy of Sciences. As a newly elected member, Riemann was required to send a report of his most recent work to the Academy. His report, titled "On the number of primes less than a given magnitude", was of fundamental importance in number theory. Riemann showed that various results about the distribution of prime numbers were related to the analytic properties of the Riemann zeta function defined above (particularly the distribution of its zeroes). 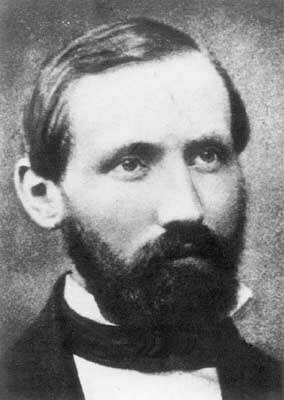 Some of his results were rigorously established by Hadamard and Vallée-Poussin in 1896, but the Riemann hypothesis remains unproved. Riemann married in July 1862, and later that year caught a serious cold which developed into tuberculosis. He travelled several times to Italy to recuperate, and had friends among the most important Italian mathematicians (particuarly Betti and Beltrami). Riemann spent the last weeks of his life in the Italian village of Selasca with his wife and three-year-old daughter.